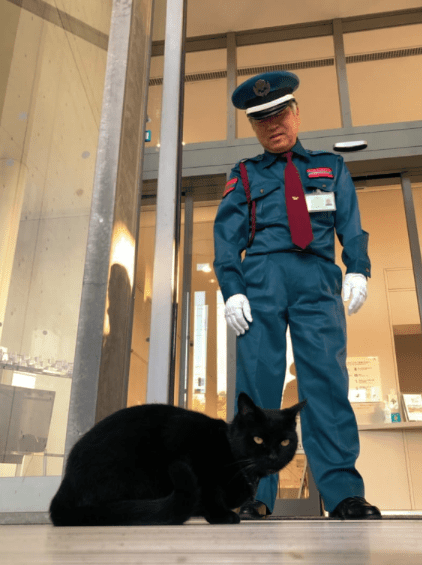 Two Japanese Cats Keep Trying to Sneak In to this Museum - Every. Single. Day. 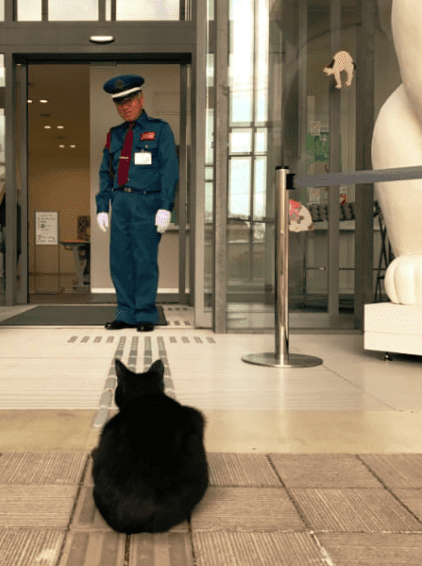 Two Japanese Cats Keep Trying to Sneak In to this Museum – Every. Single. Day. 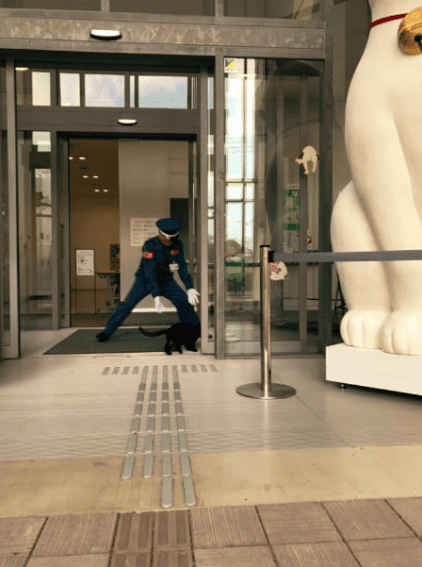 Their mission for years has been to visit the Hiroshima Onomichi City Museum of Art. 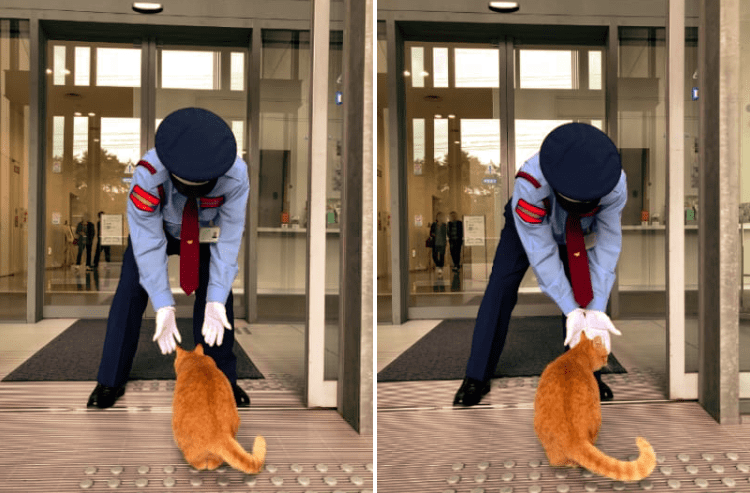 However, since they are cats, they are unable to purchase tickets and are therefore prohibited from viewing the art. Also, being cats, they probably shouldn’t be near priceless and irreplaceable works, especially the textiles. 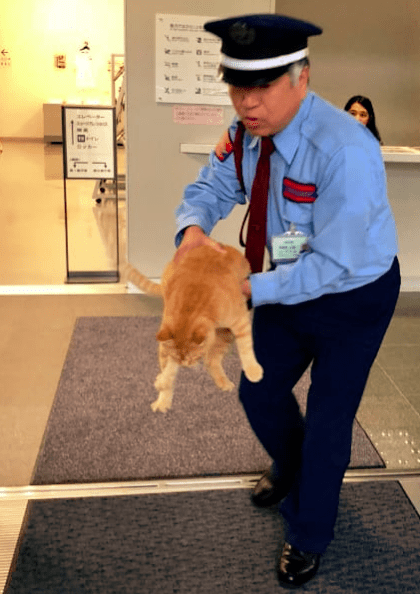 Still, this sort of narrow-minded thinking by management has not stopped Ken Chan and Go-Chan from trying to get a paw in the door for years. 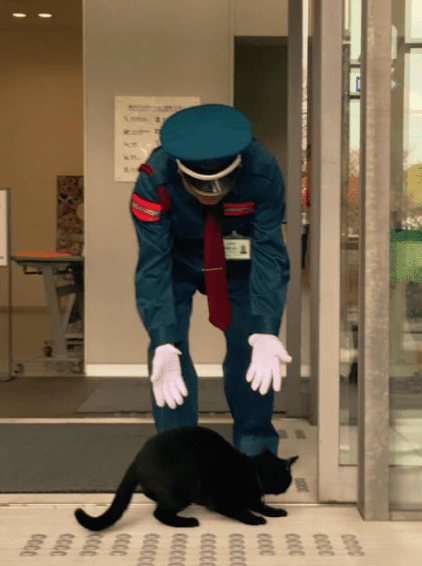 Go-Chan is not as naughty, but every once in a while, she will try the door. Certainly, at Ken Chan’s urging. 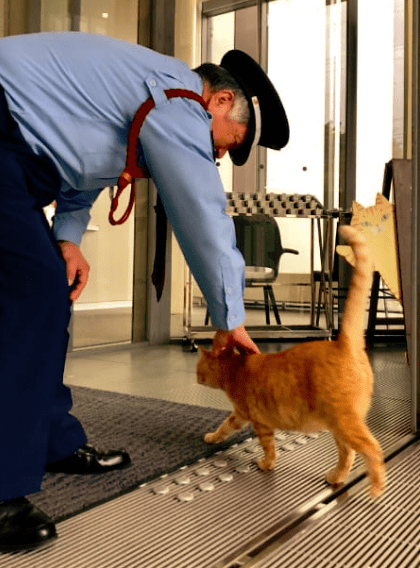 The security guard, however, has a job to do and that is to keep two silly cats from pussyfooting around his museum. Everyday is a stuggle for Ken Chan and Go-Chan. Especially for Ken Chan, who loooooovvvvves the art. Please let me see the art. Oh, Go-Chan. You too, again? Such willful little things to never give up on their dreams. 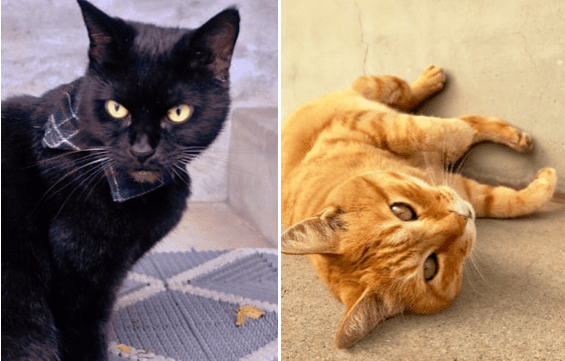 Ken-chan and Go Chan, we hope you find a door left open accidentally soon. We’re cheering for you!